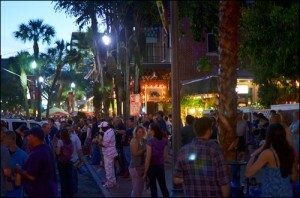 Love First Friday in Downtown St. Pete but don’t like the drive home after. Now you can stop worrying about drinking and driving during your night out. The St. Pete First Friday shuttle is providing rides to and from Downtown St. Pete. The round trip from the corner of W. Azeele and S. Howard to Jannus Live is just $20 a person and offers three pick up and drop off times. 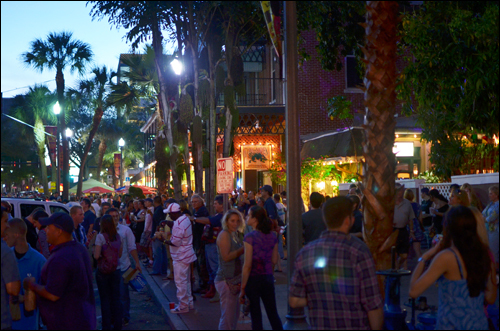 If you don’t know, First Friday is St. Pete’s monthly street festival including live music and vendors surrounding the area’s most well known bars, art galleris, shops and restaurants. It’s a good itme to go explore our sister city. And now you don’t even have to drive. Tickets are available at Passport Travel’s Website.